Of late, more and more film stars across the country are venturing into the world of web-series. Popular stars like Madhavan, Rana, Vivek Oberoi, Parineeti Chopra and Richa Chaddha have expanded their creative horizon by exploring this exciting platform. Now, star heroine Tamannaah evinced interest in acting in a web-series. 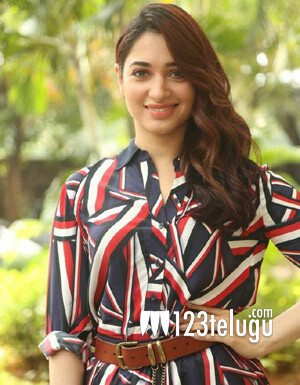 In her latest interview with a popular Telugu daily, Tamannaah said she is a huge fan of hit series like Drop Dead Diva and Crown and that she religiously watches every episode. Tamannaah says that the future belongs to web-series and opined that Indian web-series lack quality. She went on to say that she will surely act in a web-series if an exciting script comes her way.